Chelsy Davy and Kate Middleton watch Prince Harry and Prince William play in a charity polo match in 2006. 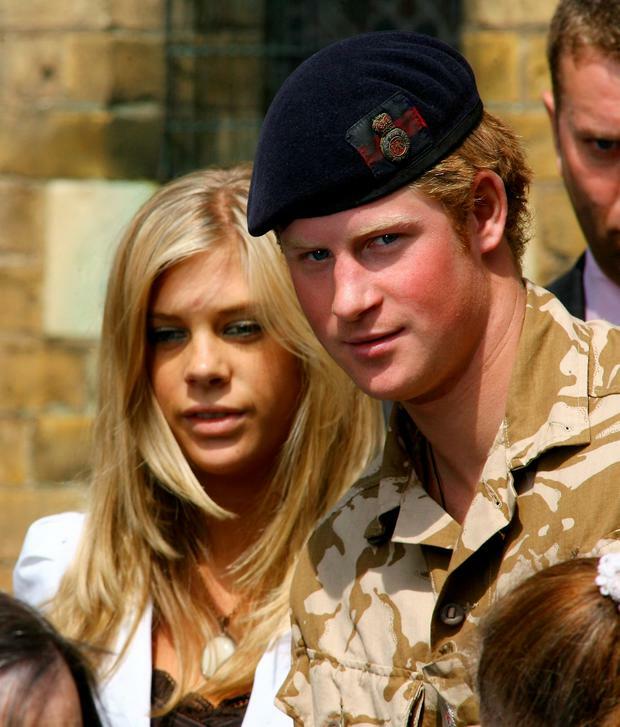 Prince Harry's ex-girlfriend Chelsy Davy reportedly knew she did the right thing in ending their relationship when she saw Kate Middleton and Prince William's very public life together. The pair split in 2010 after six years together, after Davy, a British-Zimbabwean jewellery designer, could no longer cope with life in the royal fishbowl. And it was at Kate and William's wedding in 2011, which she attended, that she knew she did the right thing. In a new biography, Harry: Conversations with the Prince, Angela Levin speaks with friends of the former couple and details that it was "seeing the enormity and pomp of the day convinced Chelsy that she and Harry had been right to separate." "Although they had a lot in common, she saw clearly that because they came from such different worlds it could never have worked, especially as she valued her privacy and guarded it so carefully." Chelsy and Harry remained famously close after their break-up, before his May 19 wedding to Meghan Markle, when they are said to have had a tearful phone call admitting their friendship could no longer continue and she was surprised that she wasn't invited to the exclusive wedding after-party at Frogmore House. It was a significant cut on the 600-strong guestlist that filled St George's Chapel in Windsor Castle for their wedding ceremony. Davy was in tears when she realised she had only been included in a small portion of the day, adding some closure that they really had both moved on. "It was their final call, a parting call in which they both acknowledged Harry was moving on. Chelsy was quite emotional about it all, she was in tears and almost didn’t go to the wedding," a source told Vanity Fair. "In the end, she went and promised Harry she wouldn’t try and gatecrash the party." She has previously spoken about the stress the relationship put on her life, a sentiment echoed by another of Harry's exes Cressida Bonas. "It was so full-on: crazy and scary and uncomfortable," she told The Times in 2016. By Keiran Southern, Press Association Los Angeles Correspondent Queer Eye’s Jonathan Van Ness paid a glowing tribute to his fellow Fab Five member Tan France as he wished him a happy birthday. Aoife Kelly Amanda Byram has revealed she had a difficult relationship history in her thirties when she was living in LA.